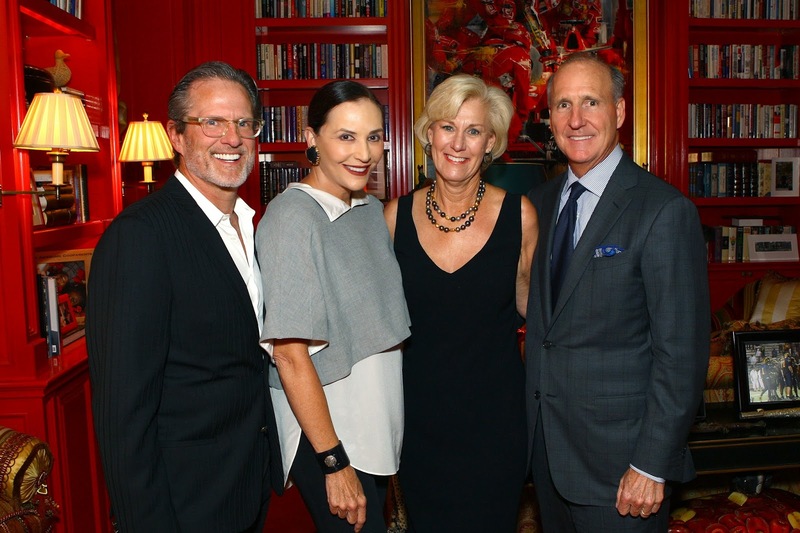 (Press Release) The home of Jeff Rich and Jan Miller was the place to be seen on the evening of Thursday, September 5, 2013 at the kickoff for the Saint Valentine’s Day Luncheon and Fashion Show to benefit The Leukemia & Lymphoma Society (LLS). Carmaleta Whiteley, the 2014 Chair of this 30th anniversary year introduced the evening’s gracious hosts as the Honorary Chairs for this year’s event to be held on February 12, 2014 again at the Morton H. Meyerson Symphony Center. Crawford Brock of Stanley Korshak, longtime sponsor of the Fashion Show, who was recently honored with the Achievement Award from MR magazine, was in attendance that again is setting the state full of fashion for this notable year. 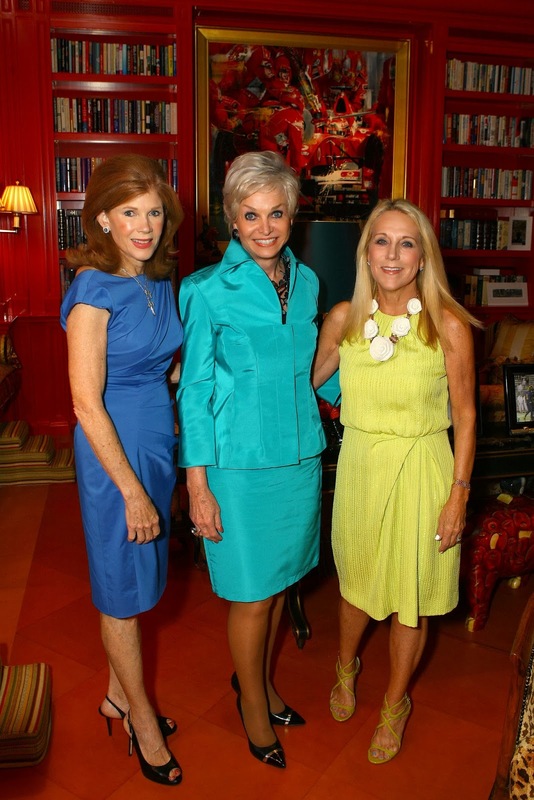 Joining Carmaleta at the affair were many of the luncheons past chairs, such as Claire Emanuelson, Maggie Kipp, Libby Hunt Allred, Holly Davis and Dee Dee Lee among others who are also committee members for this year’s event staying true to theme, Legends of Love. Among those in attendance were members of the committee and Carmaleta’s “Dream Team”, Olivia Kearney and Lynn McBee. 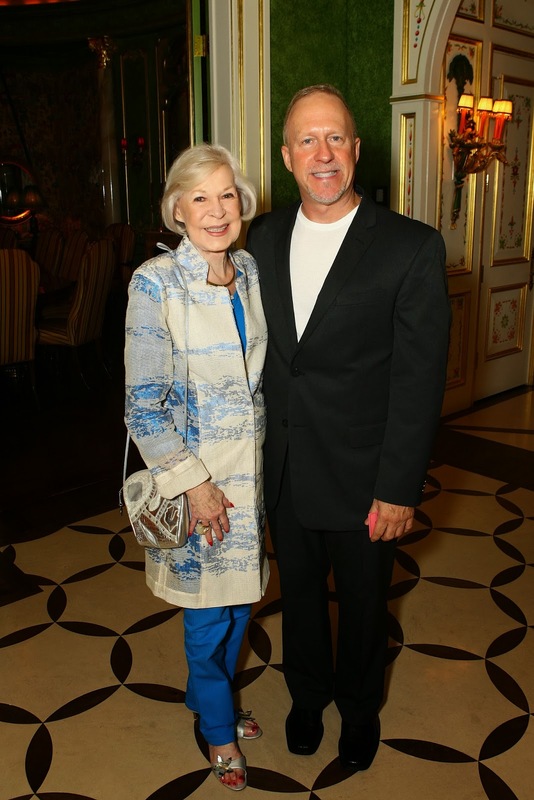 Janet Evans and Rusty Duvall, the two women who created the Luncheon together in 1984 after their families were directly affected by blood cancers, have made quite an impact on fashion and the community. “Due to thirty years of chair women from all parts of Dallas taking up the baton and the passion of finding a cure for leukemia, we all stand today having returned over $8 million to research,” states Janet, reminding all of the impact this Luncheon and Fashion Show has had on those battling blood cancers. Two of those who have been directly affected by blood cancers will be honored at this year’s event. The graceful Dawn Mellon, wife, mother of two and survivor of Non-Hodgkin Lymphoma, will be the recipient of the 2014 Lynda Adleta Heart of Gold Award given each year in her memory and in honor of someone who indeed has a heart of gold. The Spirit of Tom Landry Character Award will be presented to Margaret Strand, the 16 year old survivor, who has shown courage during her childhood battle with leukemia. Carmaleta along with Jeff Rich, Crawford Brock, Steve Rigby, the North Texas Chapter Board Chair of The Leukemia & Lymphoma Society, and Patricia Thomson, North Texas Chapter Executive Director, shared the importance of this anniversary year, kicking it off in style. If the fashion show is anything like the kickoff, it is set to be a grand affair. To learn more about LLS and its impact on research and patient services programs, please visit www.lls.org. The Saint Valentine’s Day Luncheon and Fashion Show’s 30th Anniversary event will be nothing short of spectacular with Jan Strimple producing this year’s affair.